Call for a May Day strike by Philadelphia Industrial Workers of the World. Originally published by Philadelphia IWW. Another May is soon to come. May is a special month for working people around the world. It is a time to remember fellow workers martyred for daring to say the common people deserve a say in the trajectory of their lives. Martyred for suggesting people exist with comfort at the expense of profits for business owners. Martyred for dreaming of something better. May is a time when workers come together to experiment for a new world, like the students of Paris in 1968. May is a time when workers rejoice at all they have won, like Philadelphia’s Dock Workers Local 8 in 1913. What will May be for you? On May 1st, 1886, workers across the United States went on strike for an eight-hour workday. On May 3rd, police fired on striking workers at the McCormick Harvesting Machine Company, killing two. This was only the beginning of violence against working people that May, the most famous incident of which was the sentencing and execution of four workers accused of bombing a gathering of people on May 4th in Haymarket Square, Chicago – these workers were pardoned posthumously by the governor of Illinois in 1893. The trial-execution-pardon cycle has been repeated countlessly and persists today, though anymore it seems the cycle is execution-trial-pardon with a one-sided trial by media. May 1st is a day to remember and a day to dream. We workers claim this day for all workers across the globe. We won the eight-hour workday. We won a guaranteed minimum wage. However, it is increasingly common for people to work multiple jobs, part time, at a wage well below livable. Medicine advances daily, but access to health care is evaporating. A four year college degree is required in more workplaces, but access to education continues to fall for the majority of people. Politicians stand by as our neighborhoods are bull-dozed so developers can build condos we can’t afford – letting them stand empty so wealthy investors can store their money. Amazon threatens to come to town. A neighborhood will be razed to make way for HQ2. Rents will increase – rents we cannot afford. Jeff Bezos and his politicians promise jobs, but we know they only want us in the Amazon warehouses, restaurants, and convenience stores earning minimum wage. The city has promised Amazon will not pay taxes or for our education. 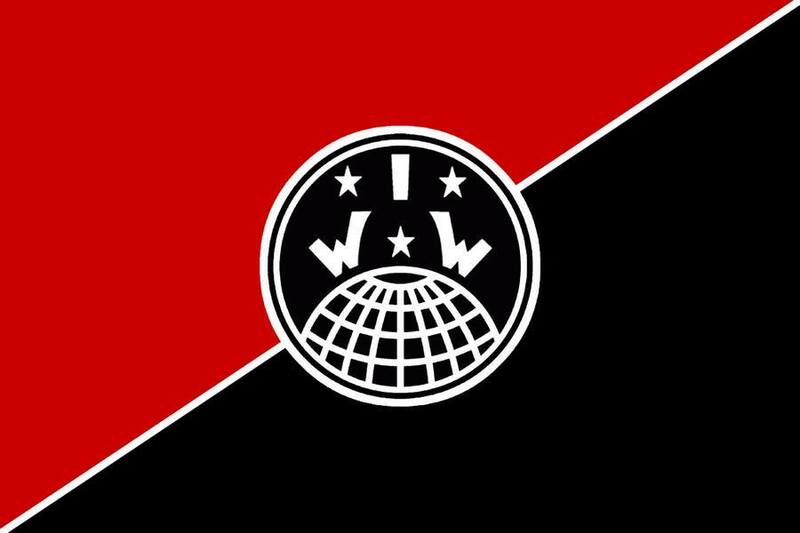 The Philadelphia Industrial Workers of the World call on you to strike! Walk out with all of your coworkers and enjoy the day. The bosses cannot threaten you if there is no one to take your place. Strike against police brutality, mass incarceration, and racism. Strike for workers of all nationalities. Strike against low wages and reduced hours. Strike for the ability to thrive. Strike for control of your life. Strike for a future without work. Strike for those who cannot. Next post: Live Blog: The Eviction of #ZAD #NDDL Started: #ZADResist!